In 1958 Hush Puppies created the world™s first casual shoe, signaling the beginning of today's relaxed style. 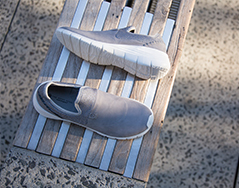 By utilizing supple suede in combination with lightweight crepe soles, Hush Puppies created a soft, breathable and very comfortable shoe an innovation that would ultimately change the kind of shoes we wear. In an era when footwear choices were limited, Hush Puppies provided the world with a new alternative. 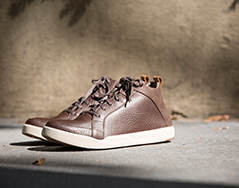 A modern shoe embraced for its authentic style and casual flair. A revolutionary idea born more then fifty years ago continues to inspire us today. Hush Puppies Brunei, Indonesia, Malaysia and Singapore are a division of Transmarco Group, which focuses on Footwear & Lifestyle. Hush Puppies™ footwear, which the Group was appointed as the master licensee in this region since 1990, grew over the years and enjoys high brand recognition, expanding to over 150 own concept stores and 600 distribution points respectively.